Independent reports on the quality of governance aimed at providing the Romanian government with objective advice from independent sources. The goal of the program is to monitor the socio-political and economic developments in order to identify the situations with crisis potential, initiate a public discussion and offer recommendations for action. I contribute myself to these reports with sections on public sector reform, taxation and local issues. Started in 1996 under the name Foreign Policy, the current PolSci is a Romanian peer-reviewed journal of political science edited and published twice a year on behalf of the Romanian community of political scientists. 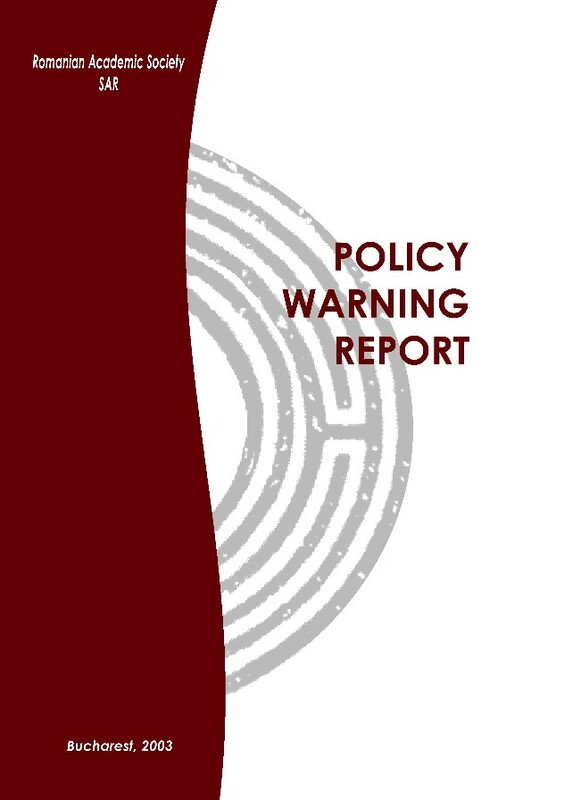 SAR also publishes issue-specific policy briefs with ad-hoc analysis of risky policies and proposals for remedial action. See a sample authored by myself here. 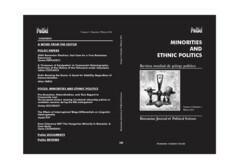 The journal publishes a diverse range of political science articles, especially from fields neglected until recently in Romania, such as comparative politics, public policy, political economy, or political psychology, covering domestic or broader Central or South-East European issues. See more on PolSci here. Other individual research projects and fellowships resulted in published papers, book chapters, and the co-editing of a Public Policy academic textbook. Below a complete list of publications with samples of the most relevant recent work. "The failure of public governance in SEE", in Bryane Michael, Rainer Kattel, Wolfgang Drechsler (eds.) Enhancing the Capacities to Govern: Challenges Facing the Central and Eastern European Countries, NISPAcee, Bratislava, 2004. "The cargo cult of democracy in Romania", in Thinking the Unthinkable: From Thought to Policy, UNDP Bratislava, 2003. Halfway There: An Assessment of the Fiscal Equalization System Reform in Romania. in S. Slukhai (ed), Equalization Systems in Transition Countries, LGI Budapest, 2003. The Ever-Expanding Government: The Structural Instability of the Romanian Cabinets and the Failing Institutional Reform. Crisis Alert Papers Series, no. 1, Romanian Academic Society (SAR), Bucharest, January 2001. Tax Awareness in Romania and the Costs of the Welfare State. Working papers series, no. 11, Center for Public Policy (CeRPP), Bucharest, March 1999. Against All Odds: the Case for Introducing Study Fees in the Romanian Public Universities. Working papers series, no. 6, Center for Public Policy (CeRPP), Bucharest, September 1998. 10 arguments against the changing of the Romanian electoral system. Working papers series, no. 2, Center for Public Policy (CeRPP), Bucharest, February 1998. 'Defending the Cabinet against the Contract with Romania: Fiscal Traps' - Sfera Politicii, Vol.5, No.51, August , 1997. 'Illusions of the Gradual Reform in Eastern Europe' - Sfera Politicii, Vol.5, No.48, April, 1997. 'Romanian Capitalism: A Never-Ending Debate'. Revista de Cercetãri Sociale (Social Research Review), Vol.3, No.1 (January), 1996. Norman Barry, Welfare (Social Science Concepts Series), Open University Press, 1992. DuStyl Publishing House, Bucharest, 1998 - with an introductory study "Economy, philosophy and the welfare state"